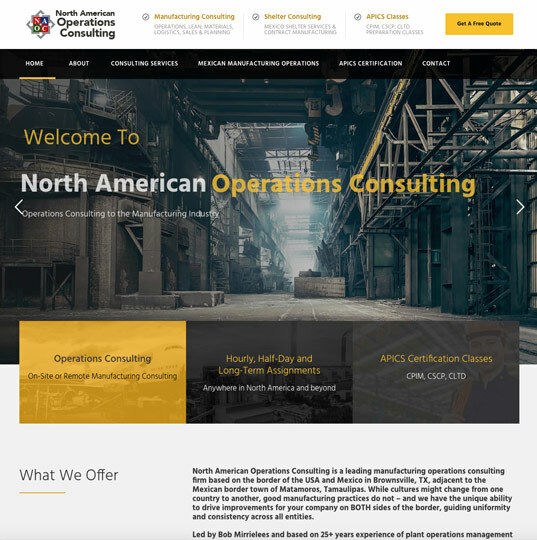 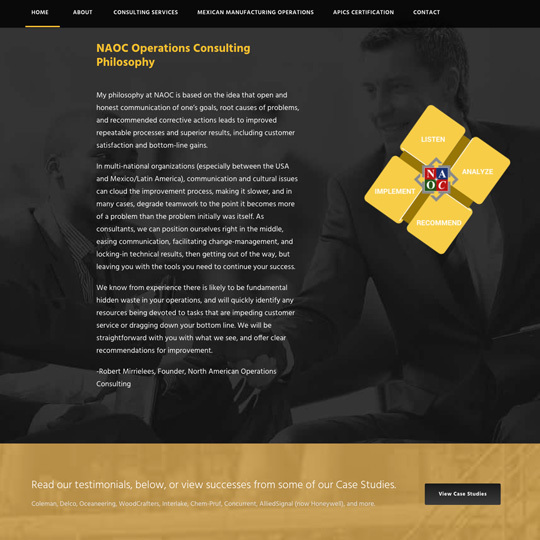 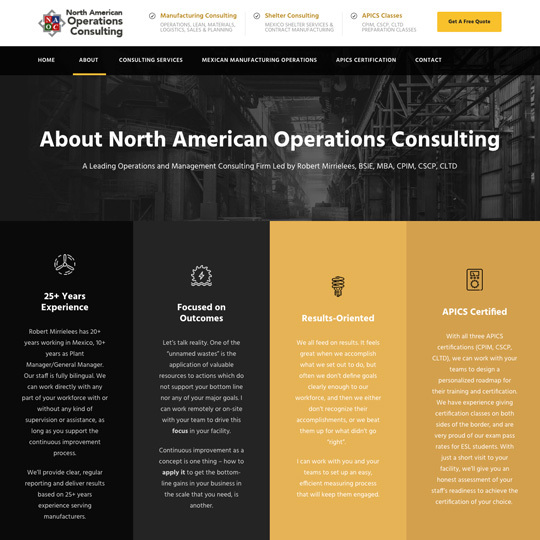 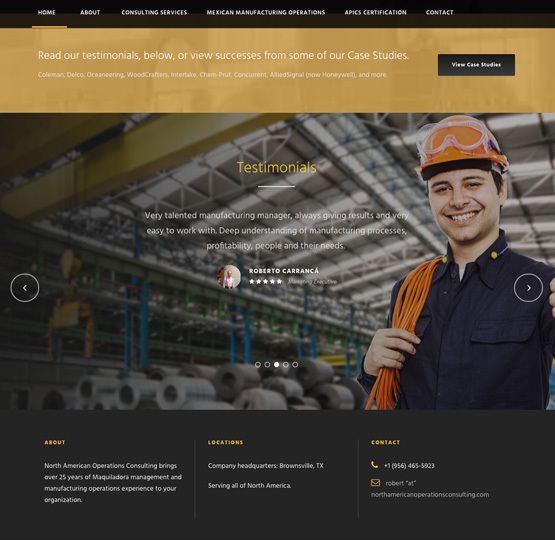 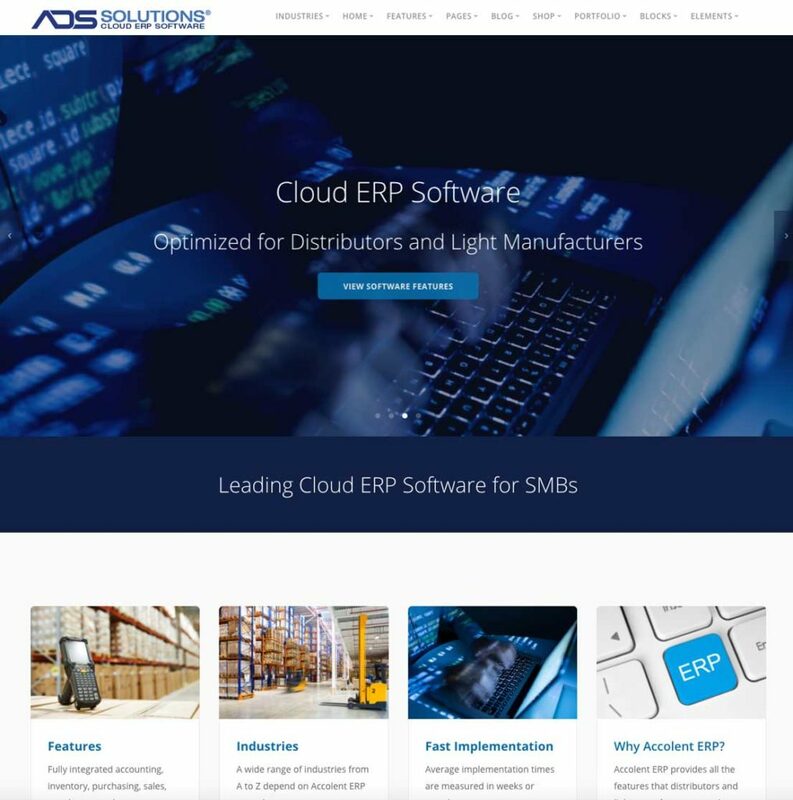 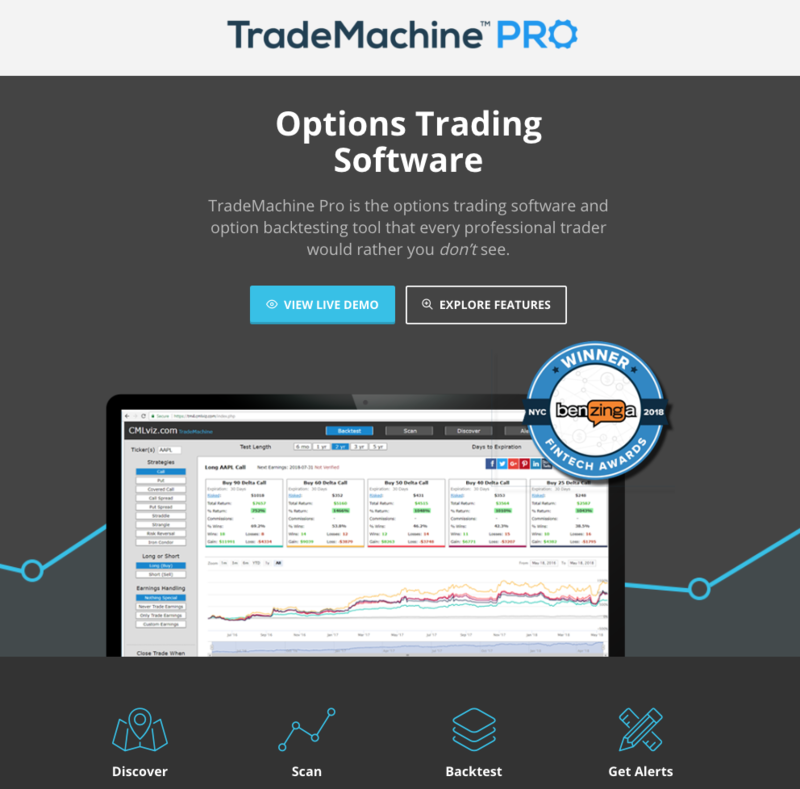 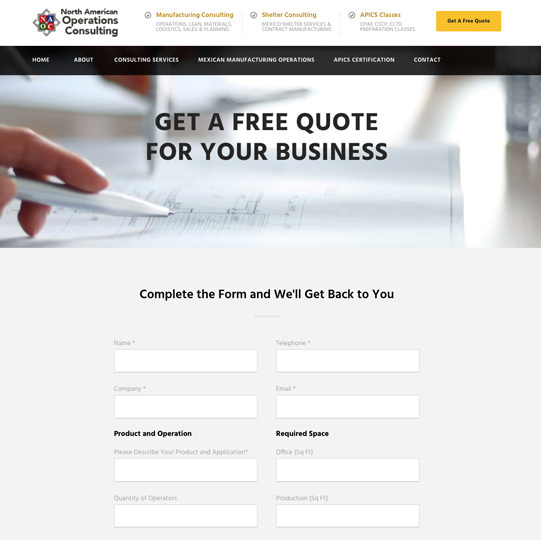 North American Operations Consulting asked us to rebuild their website from the ground up. 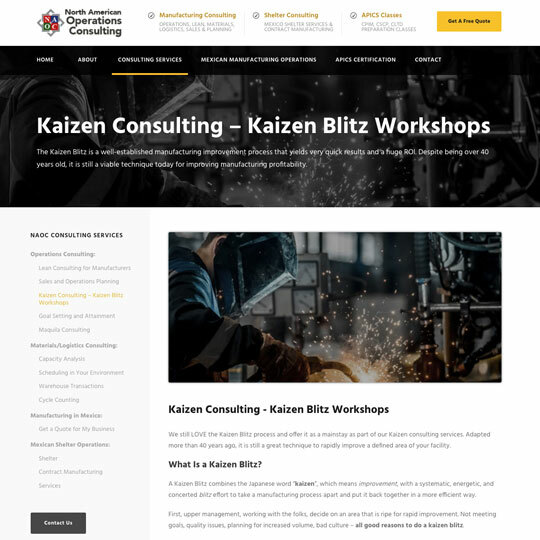 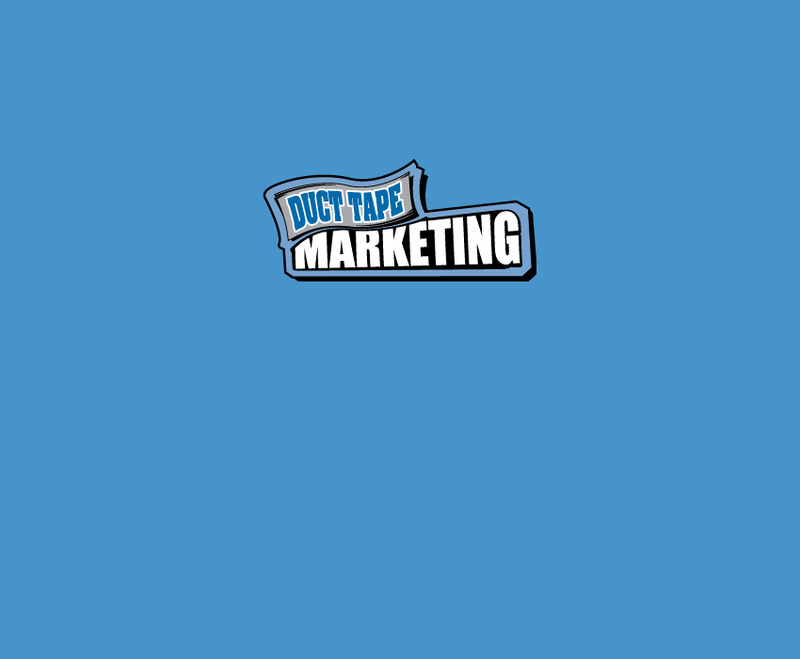 They wanted to be able to inexpensively add new pages and content, so we proposed and created a WordPress site. 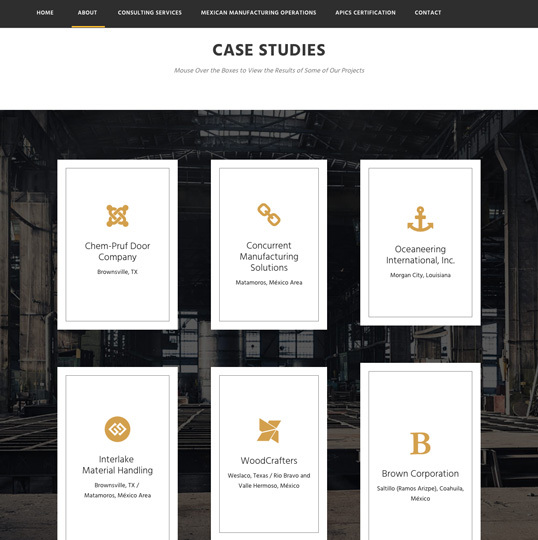 The project brief called for a “masculine” site with a look-and-feel of heavy manufacturing that would appeal to this industry. 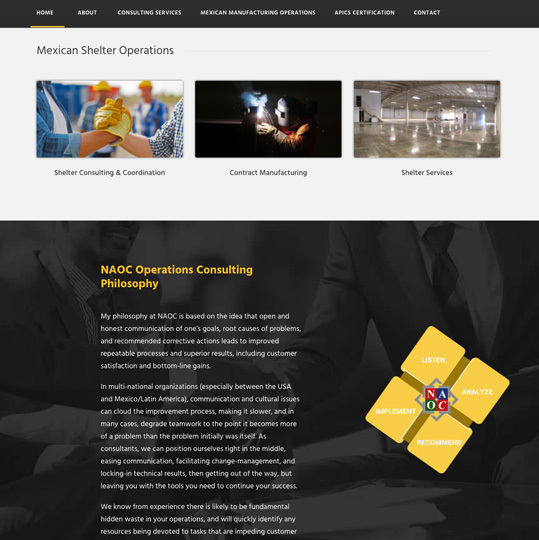 Time to complete: 7 days.